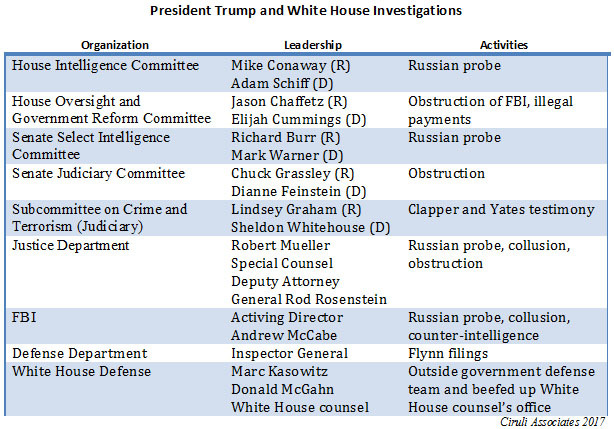 Much like the 24/7 news cycle, there is an accelerated investigative cycle that involves at least four major congressional committees in both houses and numerous agencies, some with direct, but others with only tangential jurisdiction. Although President Trump managed to escape Washington’s relentless politics for nine days, the investigations are issuing subpoenas, booking testimony, and gathering staffs and budgets. Russia foe – Voters see Russia as an enemy – 64%. They believe Trump sees it as an ally – 73%. Firing Comey – Voters said yes – 34%, no – 53%. Real reason for firing “because Comey’s investigation was harming Trump’s presidency” – 60%, not because it was harming the FBI – 29%. The President’s approval rating was 40 percent, not much changed from the previous month, but down from the January Inaugural. Special Counsel Robert Mueller may be the key player in the overall investigation, but the number of committees, agencies, lawyers, news media and leakers engaged guarantees this will be a story throughout 2017. The White House finally gets it and has hired lawyers and set up a war room. Of course, it may generate news, some of it bad. After years of gridlock, a construction defects bill passed both Colorado legislative bodies and was signed by Governor Hickenlooper. Although it didn’t completely satisfy the developer community, the legislation reflected sufficient compromise to get it out of committees and through the leadership of both parties. The main proponents of change in the law were developers, chambers of commerce and other business promotion groups. The major road block has been a Democratically-controlled House. Most importantly for securing compromise from Democrats were local government officials who argued the hair trigger homeowner litigation rules were undermining providing housing, affordable and otherwise, in their communities. Thousands of potential condo units were being held as expensive rental units due to fears of class action suits easily filed against developers and builders. Although there are fewer State House reporters than decades past, big stories still get covered from a variety of angles. The Colorado Statesman still publishes, although mostly behind a pay wall. Ernest Luning covered the construction defect compromise on April 19. Probably the state’s best political website is Colorado Politics sponsored by the Colorado Springs Gazette. Peter Marcus posted a story on the Governor signing the bill, with the sponsor and leadership taking a bow. Democratic House member Alec Garnett and Speaker Crisanta Duran were recognized with Republicans Lori Saine and Cole Wist. A host of interest groups also joined the celebration. The Denver Post’s John Aguilar did an analysis as to why it had been so hard to reach a compromise, with a focus on the money that trial lawyers and business groups had spent on legislative races in recent years. My comment was that in 2017 Democrats, with a five-seat majority in the House, were less vulnerable than past years. France’s labor markets and productivity are a mess and one of President Macron’s biggest challenges. But, Italy’s are even worse, and there is no sense the politics of the next election will offer a solution. Italy’s anti-establishment nationalism is intense. Most of the public in Europe support the Euro despite anti-Euro nationalism. 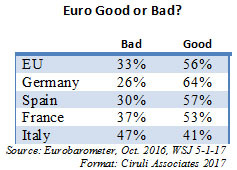 Only in Italy does a plurality of the public see the Euro as bad (47%) for the country, not good (41%). 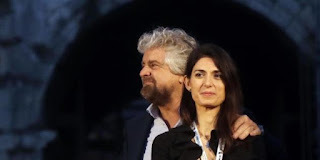 Slow growth, high unemployment, massive debt, low productivity, rigid labor, trade and professional rules, and a general dissatisfaction with the center parties gave birth to the Five Star Movement of comedian Beppe Grillo. The so-called party is mostly run as an online movement, but in 2016, it won the mayorships in Rome and Turin. It often looks more like a Bernie Sanders caucus meeting than a national party. But, there is passion and an anti-corruption, protectionist platform that appeals to Italian workers, businesses and dissatisfied voters. At 30 percent support, it is currently Italy’s largest political bloc. Italy is currently run by an interim government since the constitutional reform referendum of Prime Minister Matteo Renzi failed in December and he resigned. A mid-2018 election is likely, and unless one of the major party groupings can get organized, Five Star could be asked to form a government. Although it is more than a year and a half until the next congressional elections, Washington, D.C. is watching the calendar early, mostly due to the chaos of Trump administration’s start-up. House Republicans are worried about holding their majority and Democrats are busy recruiting candidates. Democrats need 24 House seats and 3 in the Senate. Both goals appeared unlikely after the November elections, but the beginning of Donald Trump’s second 100 days brings early speculation that Democrat could take both houses. We will begin regularly publishing the 2018 political Dashboard to quantify and comment on the status of the congressional races, which are likely to be the most watched and analyzed in recent history. Control of Congress, especially the House, will not just decide the Trump and Republican legislative agenda, it may decide Trump’s survival as president. 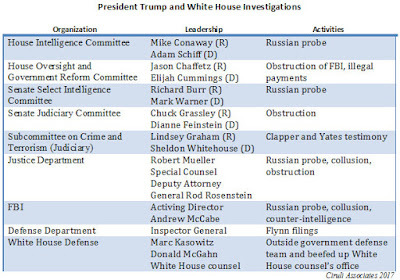 Bills of impeachment are in drafting, with many of the particular charges already identified. It is no doubt premature, but it reflects the President’s vulnerability and the Democrats’ passion. 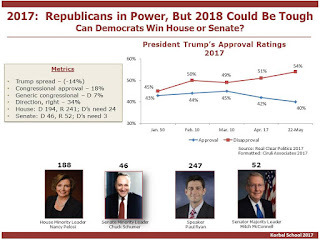 The elements of the Dashboard are: presidential approval, congressional approval, the generic congressional ballot test, direction of the country, and the number of seats Democrats and Republicans need or enjoy respectively for a majority. The President’s approval is at a record-low for this early in a term. There are more than 500 days until the November 2018 elections, but now is the time for recruitment and fundraising. Democrats have been benefiting from post-election activism and Obamacare rage. Now, of course, the White House and Trump’s performance are energizing them. The RealClearPolitics presidential average rating is 40 percent approval and 54 percent disapproval, a 14-percent negative spread. 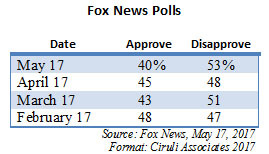 And, the polls of the last few days have uniformly been below 40 percent. 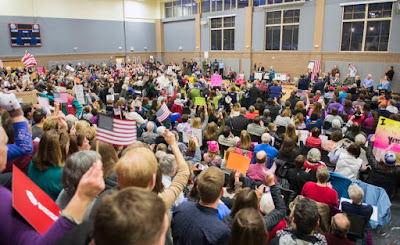 The campaign for the House has already begun with heated town hall meetings for Republican incumbents and Democratic support organizations buying ads in 23 House Republican districts where Hillary Clinton won last year, including Colorado’s Mike Coffman’s 6th district. He won in November by 7 points, while Clinton was carrying the district by 9 points. Coffman voted against the Republican AHCA repeal and replacement legislation. 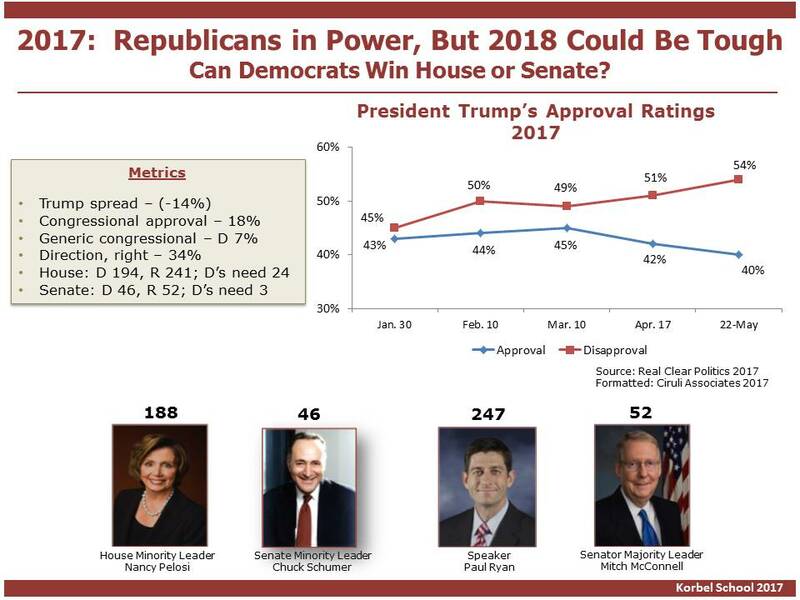 Democrats also need to defend 12 seats that Trump won, but with Trump’s low approval and the Republicans’ AHCA legislation having only a 25 percent public approval, it’s Republicans who are the most concerned. How About the French Transition? The first round of the French presidential election was April 23, the second round 14 days later on May 7 and the transition completed on Sunday, May 14. 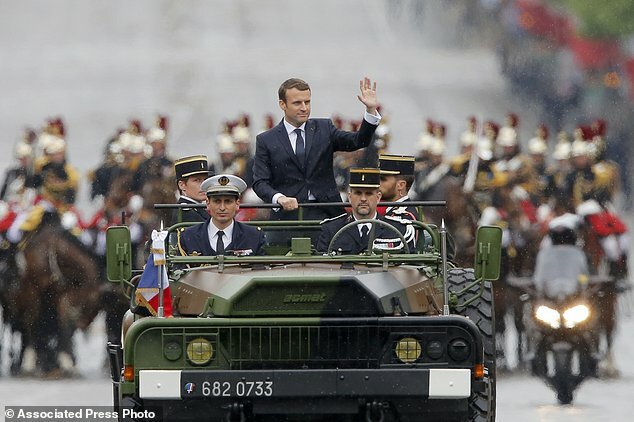 It was a simple ceremony at the Élysée Palace, a speech by the new president and the brief ride down Avenue des Champs-Élysées in a military vehicle. A wreath was laid and President Macron went to work. 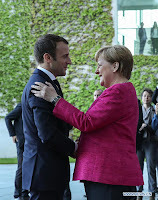 One day later, he was in Berlin building an essential relationship with German Chancellor Merkel. Nice transition – less money spent and time wasted and no arguments about crowd size. The EU Gets a Boost. Next Up: England, Germany and Italy. With the victory of Emmanuel Macron, the EU gets a moment to reconfigure its future. It would be wise not to waste time. European electorates are in considerable stress with far-right and far-left movements adopting nationalist, anti-EU positions to compete with old center parties. The next European elections are as important as Brexit, Trump and Macron. Prime Minister Theresa May wants to strengthen a governing majority in Great Britain for EU negotiations. Chancellor Angela Merkel must renew her five-year mandate. She represents the dean of world globalists, and with the new French president, the essential partner in preserving the EU. And finally, the most troubled Mediterranean EU member, Italy, will likely have an election in 2018. It could put an anti-EU populist party in control. Italy’s parliamentary election isn’t set yet. 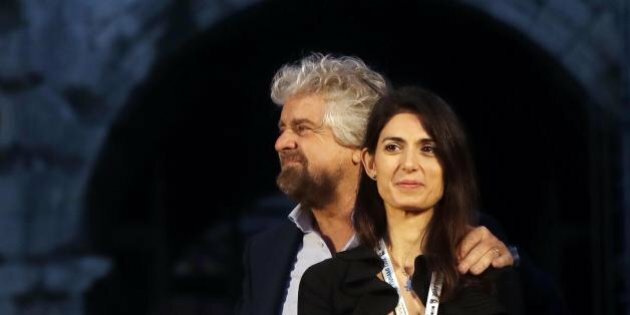 It’s likely to be in mid-2018 and the Eurosceptic Five Star Movement could be the largest party. Nationalists and Eurosceptics continue to have clout. They control the Polish government and are a force in Britain, France, Austria and various parts of Eastern Europe. In fact, a snap election has been called in Austria due to the instability of old governing coalitions and politicians. Although Ms. Merkel’s party appears well-positioned to be the dominant player in the September 24 election, this will continue a government that has lasted 12 years, a very long run in current European politics. Her challenge comes from the center-left more than the far-right. 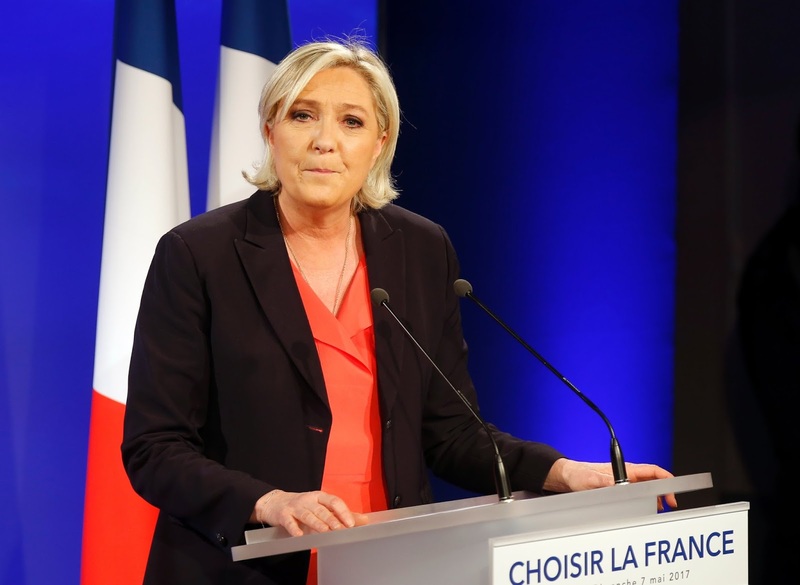 Although the National Front, the main French party representing anti-immigrant, anti-EU sentiments, lost the presidential run-off; the anti-global position in France continues to grow. Marine Le Pen received 21% of the vote in April’s French first round election, but the total of right and left anti-global parties equaled nearly half the total vote (49%). She increased her vote share 13 percent in the second round run-off to 34 percent. Hence, a third of the French electorate supports an extreme nationalist party, a steady increase from 2002 when the party’s founder, Jean-Marie Le Pen, received just 18 percent. The party (which may be renamed) is also now the leading opposition to Emmanuel Macron’s globalist position. Will nationalist elements of weakened left and right parties join it or can the Republican, Socialist and Communist parties reconstitute into viable alternatives? nationalism. But, the new government will also shape the party’s development. If Macron fails to build a working parliamentary majority or if his solutions disappoint, the National Front and its allies will likely benefit. Even in losing, the National Front has repositioned French politics from a left-right continuum to a nationalist-globalist framework, although ideologues are more flexible than fixed today. 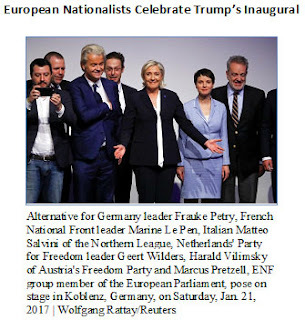 As the second largest party in the second most populated country and largest economy in Western Europe after Germany, the National Front is now the vanguard of the continent’s nationalistic movement. 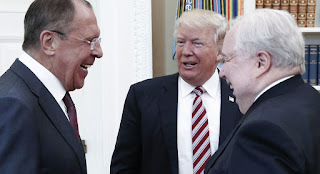 Just as Russian Foreign Minister Sergei Lavrov and Russian Ambassador Sergey Kislyak conferenced with the President at the White House, the Russian cyber-attack investigation was dominating the airwaves with the FBI Director Comey firing. Good news for the Russians in short term. The President reaffirms his commitment to build a relationship with Russia in spite of the Russian hacking investigation of the U.S. election. In longer-term, the firing will keep the issue in the news and in political turmoil. Vladimir Putin’s strategy here and in France is producing considerable blowback. It’s empowering political enemies and making it difficult for friends. Putin personally requested a photo shoot between Trump and the Russian team. In fact, it was only covered by Russian media, which Trump allowed as he kept U.S. media at bay. In other words, in spite of Putin’s hostile intervention in the U.S. election, he managed to self-extol on Russian TV. What a master strategist he is! April Zesbaugh and Steffan Tubbs interview on KOA May 9, 2017 on challenges congressional Republicans face from grassroots groups fighting the Obamacare repeal and replacement. Floyd Ciruli: Two political fights are underway. In one fight, Democrats want to win back the House of Representatives. They need to pick up 24 seats in 2018. In the other, they want to stop the Obamacare legislative changes that came out of the House last Thursday, which are now in the Senate. Health care policy has dominated American politics since what came to be known as Obamacare was first introduced in 2009. It cost the Democrats their majority in 2010 with a 30-seat loss. The losses continued in 2014. In a reversal of fortune, they are hoping the resistance is as potent as the Tea Party and health care will put them back in power in 2018. But the fight is also over controlling the narrative as much as specific seats and candidates at this point. Democrats are arguing millions will lose coverage and that protection for pre-existing conditions has been emasculated. Republicans argue Obamacare is collapsing and the new law will stimulate private coverage, lower premiums and limit budget-busting Medicare expansions. Part of the message battle is at congressperson town halls and constituent meetings. In Colorado, both Congressman Mike Coffman and Senator Cory Gardner have been targeted by the Democratic resistance and other health care activists. Washington pundits believe that the embattled Trump presidency hovering over the health care debate has made the political environment very volatile and potentially competitive for 2018. In fact, the respected Cook Report just moved Coffman’s seat from lean Republican to toss-up in spite of his voting no on the bill. And although it is premature to downgrade Coffman, who wins re-elections in good and bad Republican years, health care has been a Republican-only bill with President Trump as the chief promoter. It is now up to the Senate with its narrow Republican margin to craft something the House Republicans will accept and the party will want to run on in 2018. Four reasons stand out for President Trump’s May 9 firing of FBI Director James Comey. These are based on Trump’s words, previous behavior and the logic of the timing. Trump was angry Comey didn’t exonerate him of his ties to the Russians related to the 2016 campaign. In fact, Comey refused to answer the questions and cited an ongoing investigation. Trump believes the ongoing investigation is a hoax and waste of resources. Tellingly in the firing letter, Trump claims he was told on three occasions there was no connection between him and the Russian investigation. If true, probably a violation of FBI procedures, but at least confirming evidence Trump is most concerned about the investigation. Trump was angry that Comey didn’t back up his claim that the Obama administration wire tapped him. Trump would have accepted most any vague statement as validation, but Comey was definitive that there was no spying on Trump by Barack Obama. 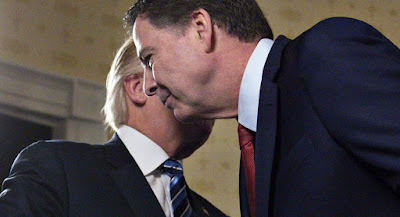 Comey failed to focus sufficient attention on what Trump believes is the greatest threat to the nation – leaks. Trump made clear leaks should be the FBI’s priority, not Russia. Comey was high-profile and on the Hill much too high. As Steve Bannon can attest, don’t get more famous than the boss. Comey’s position was excessively useful for ambitious Senate and Hill members that wanted good hearing news coverage. Better to bring in someone with less history or knowledge of the Russian issue. Notice Hillary Clinton is not a reason. French Nationalism Hits a Wall: Not Good News for Putin and Trump. Emmanuel Macron’s two-to-one victory over Marine Le Pen (66.1% vs. 33.9%) is a major defeat for Le Pen’s international supporters. 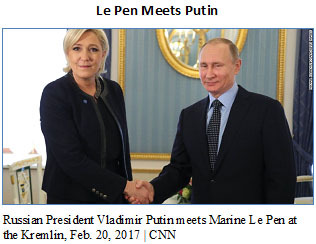 She and her party, the National Front, have long- and well-established ties with Vladimir Putin. They have received loans from Russian banks, she opposed Russian sanctions and she was pictured with Putin in a highly public visit in February. Macron repeatedly claimed Russia’s propaganda and anti-democratic machine was trying to damage his campaign. They are suspected to be responsible for the final hack of Macron’s campaign communications. Ms. Le Pen at a conference in January in Germany joined her fellow nationalists to celebrate Donald Trump’s victory and his Steve Bannon-inspired Inaugural address. Most recently, she expressed reservations about Trump’s policies in Syria (interventionist, anti-Russia), but Trump was clear in his preference with his unsolicited tweets. Behind the scenes, Bannon has been a fan of Le Pen and strongly supports the nationalism movement across the continent. Trump has been strongly pro-Brexit, predicted more withdrawals from the EU and hails as his good friend Nigel Farage, the Brexit leader, in Great Britain. Ironically, Trump’s poor international image and “America First” pronouncement and policy are damaging his goal to help nationalist allies. In fact, Trump’s “America First” and generally anti-EU, anti-NATO rhetoric and behavior, which is as heavily reported on in the continent as here, contributed to the consolidation and support for center left, pro-EU candidates. Russian elites, at some point, may conclude Putin’s strategy of cyber and propaganda warfare with the West is counterproductive. 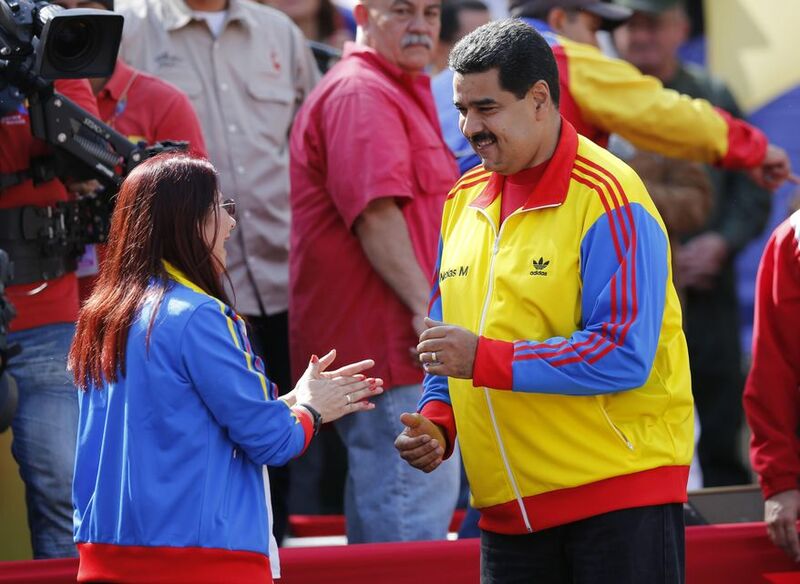 Is Maduro Near the End? Hunger is widespread, children are suffering from starvation, and hundreds have died in street protests. Statutes of Hugo Chávez are being torn down. Music icon, Gustavo Dudamel, says “enough is enough.” The urban and rural poor finally joined the protests. The Bolivarian Revolution is collapsing and the army will soon have to decide: Does it continue to defend President Nicolás Maduro and fight the population or is change near – a coup or otherwise. The recent Latin American history of military officers escaping prosecution for crimes against their own population is not good. 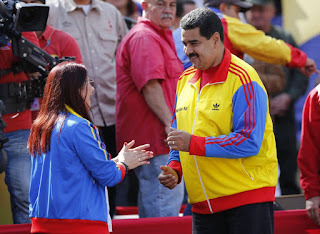 The likelihood Maduro will die peacefully in the Presidential Palace or relaxing at a Venezuelan coastal resort seems remote. Exile – Escape into exile with friends in Cuba or Nicaragua, sort of a reverse Batista and Somoza. Arrest – Arrest like Slobodan Milošević or Hosni Mubarak. Death – The streets can be dangerous as Muammar Gaddafi can attest. Nicolae Ceauşescu and Benito Mussolini were attempting escapes, but didn’t make it. The repeal and replacement of Obamacare passed the House on May 3, 2017 by one vote 104 days into the new administration, slightly over a month (41 days) after it was withdrawn due to the lack of votes on March 24 and seven years after Barack Obama signed it into law on March 23, 2010 in the White House. It has been the most controversial legislation in recent political history. Obamacare, as it became known, had no Republican support in 2009 and 2010 and the repeal has no Democratic support today. Of the 20 Republicans that opposed, most were in swing districts. In Colorado, Mike Coffman, who has been a weak supporter of Donald Trump, voted no. The Denver Post congratulated him, and although he has won his last two elections handily, it was probably the safest choice given 2018 could be a very difficult year for Republican officeholders up for re-election. Darrell Issa, who wavered on the repeal and replace bill, decided to support it. He barely survived a challenge last year in his southern California district. Hillary Clinton won both Coffman’s and Issa’s districts. Obamacare may be a law that had about an eight-year life span. But it’s not done yet. Before final approval in 2010, Obamacare took months of hearings and negotiations and was approved in the House in November 2009 by only 220 to 215. Expect a similar elongated process and equal intrigue this year. This was a politically dangerous vote for Republicans. They may pay for it in 2018, but failure to repeal was not an option and the replacement was never going to be popular with some elements of the Republican House conference. The more Republicans fear reaction, the longer they are likely to delay “full” implementation – maybe after 2020. President Trump has run into checks and balances, not just the constitutional restraints built into the system, but the full-range of limitations on executive actions that are part of the American political culture. From the Judiciary (9th Circuit), to Congress (Freedom Caucus), to his cabinet contradicting with him and the permanent bureaucracy leaking, to our foreign allies disagreeing him, the media’s intense coverage and even polls. Donald Trump appears to realize how much more difficult the political system is compared to what he’s used to when he told Reuters last week, “I thought it would be easier.” And the AP, “I didn’t realize how big it was…every decision is made harder than you normally make.” Not quite the same as commercial real estate. The President has come to see how complicated many policies are. He has referenced the complexity of health care and the Korean stalemate after listening to President Xi’s description of China’s relationship and history with North Korea. One typical reaction of most politicians is to blame the rules. And Trump has called congressional rules “archaic,” and in his view, the filibuster needs to go. The White House is floating breaking up the 9th Circuit and changing liable laws. But another reaction is to adjust. And so NATO is no longer obsolete; China is not a currency manipulator. 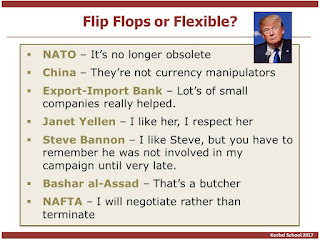 Janet Yellen is beloved and respected and NAFTA should be negotiated not terminated. We do not know the back story of many of these shifts. Some may just be reversals of Trump’s penchant for not well-thought-out declarations. But many reflect advice and experiences that show a White House and President dealing with very complex problems in a not always friendly world. 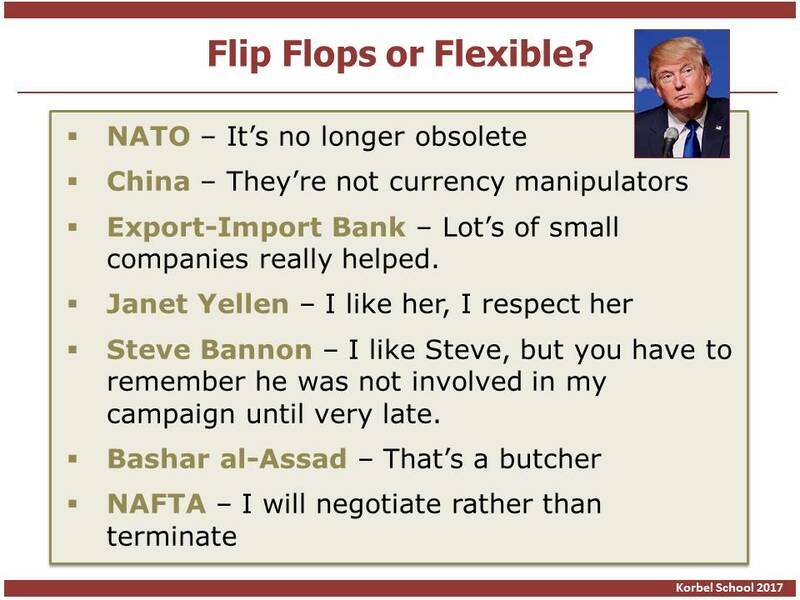 His critics call them flip-flops, he calls it flexibility. Most of the shifts are good news. Donald Trump staged the first 100 days from the White House, except for a few trips to his winter retreat at Mar-a-Lago and campaign-style forays. After 100 days, the Trump White House operates much as it did in its earliest days. Some describe it as a family-run commercial real estate firm. The distinctive features of the first weeks are captured in an early picture of the President signing the Executive Order to proceed on the XL and Dakota Access pipelines. The days were filled with drama, much of it around the Resolute Desk and, although there was a variety of participants in the room, there was always a cameraman, and initially the early photos were dominated by the campaign team hovering in the background. Keeping the promises. Keeping campaign promises is an obsession with the Trump team. Bannon is in charge and has the list on his wall; he checks off accomplishments, or at least some action. That means that some of the most divisive and least popular campaign promises are high on the White House agenda, such as the wall and travel ban. But, it also means the campaign, with all its bad attitude and mean rhetoric, has moved to the White House. In addition, the campaign for 2020 has started. The Pennsylvania rally had placards that said “Promises Made, Promises Kept” and TV advertising extolling the 100 days is starting. ‘Un’Obama. Finally, much White House activity is driven by being the ‘un’Obama. From the Inaugural argument over crowd size, to staging a picture of the national security team watching the Tomahawk Missile strike on Syria outdoing Barack Obama’s Bin Laden picture, this White House spends considerable time contrasting itself to Obama. But it also means that Obama is blamed for the need for or the failure of every action. “Obamacare is a disaster; look at the mess I inherited; this is the worst deal in history.” From Syria, to Iran, to the travel ban, to General Flynn’s security clearance, Obama was at fault. Of course, all presidents do it to some extent. Herbert Hoover was a Democratic punching bag for four decades. Obama mentioned George W. Bush repeatedly as he reversed various foreign policy initiatives, but the volume and repetitiveness of it was minor compared to the barrage of criticism today. 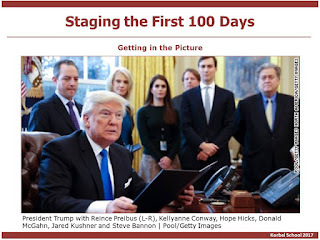 The first 100 days have had some success, but it has mostly been characterized by a lack of preparation, acting precipitously and disorder. Will the second 100 days be the same as the first? Clearly the White House is improving its operations. The leaks are down and there appears more calm, but Donald Trump is the star and the decider, so it’s very much going to be based on his personality and preferences. We shall see. Gabriel Elizondo of Al Jazeera published a story on Pueblo, Colorado’s close vote for Donald Trump last November. The Al Jazeera audience is huge in Africa, the Middle East and pockets of Europe. The photog though a shot from my desk would be a highlight. I’d admit it needs some filing, boxing, etc. It sort of looks like the high peaks of Vail. Also read LA Times: Voters in this Democratic part of Colorado backed Trump. After 100 days, they have no regrets. Landlines are now used by less than half the population. The National Center for Health Statistics, which regularly conducts major surveys of American households, reports that 51 percent of American homes are wireless-only. There are pollsters reported on by the media that only survey landlines. To the extent their data appears accurate, it’s more a chance result (good luck) than a true sample of the population. Garett Bolles’ life story is a wonder. An authentic variation on the extraordinary story of Big Mike Oher recounted in the Academy Award nominated movie, The Blind Side. 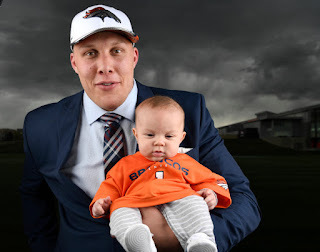 But for those of us from Pueblo, Colorado, the highlight in the Sunday Denver Post story by Terry Frei was a brief aside that Bolles considered Pueblo’s welcoming ways and hot chiles as providing some of the important friendships in his life and contributing to his considerable weight. Bolles became a gourmand for Pueblo “sloppers,” the lionized local hamburger with green chiles on it. Pueblo green chiles are nationally recognized as among the best. Whole Foods considers them equal to New Mexico’s Hatch Green Chilies. Pueblo is famous for its produce. Ciruli Brothers Produce, known for their Mexico-imported mangoes also at Whole Foods, got their start in Pueblo, Colorado. On Sunday, Colorado lost one of its great water leaders, former U.S. Representative Ray Kogovsek. 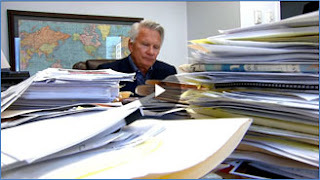 Floyd Ciruli, the Pueblo native who went on to establish Ciruli Associates, one of the best-known polling firms in the West, worked with Kogovsek in his early days in Congress. He said Kogovsek was a natural "networker" but found himself fighting President Jimmy Carter's efforts to cut all water projects out of the federal budget.